Are you overwhelmed? Here are our reccomendations! Carpaccio de Manzo con Scaglie di Parmigiano. Thinly Sliced Beef Carpaccio, Capers, Basil and Shaved Parmesan Cheese. Agnello alla Griglia con Salsa di Albicocca. Grilled Australian Lamb Chops with an Apricot Demi-Glaze Sauce Served with Parmesan Risotto. 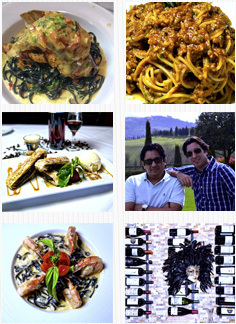 Basilico ristorante was founded in May 1998 by two friends, Rodrigo Gonzalez and Carlos Loya.